WARNING: My personal web site contains sexually explicit material, which may be offensive to some audiences. By entering my personal web site you represent that you are at least 18 years old, and are not offended by sexually explicit material and are legally able to download such items according to the laws in your country and state. 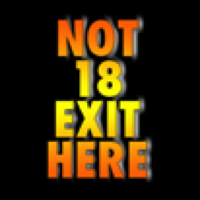 By clicking on the "ENTER" link below, you represent the following: I am an adult, 18 years of age or older. I am requesting and agreeing to view sexually explicit material for my personal use in my private home or office. I personally and without coercion will make selections of such material and these images and products without violating the laws or community standards of the area in which I live. I will not exhibit these images to minors or anyone else who might be offended by them or are not 18 or older.